The Model N-Pipe Type 2V system for biomass storages integrates VID Fire-Kill low pressure watermist nozzles type BM-1 with thin walled stainless steel pipes. 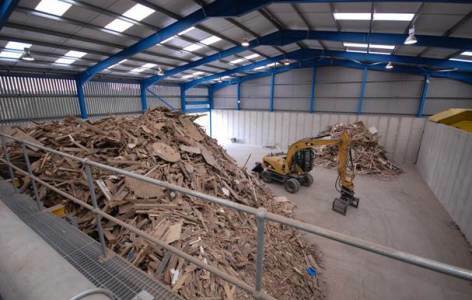 The system is designed for many different applications, such as large indoor spaces containing biomass stockpiles. The design saves cost on fittings as well as reduces the risk of getting impurities into the systems when nozzles are installed since there are less connections. The design also ensures correct nozzle spacing installation. The system is to be installed in rows covering the entire enclosure either in designated zones or connected into one large zone. The Model N-Pipe Type 2V system for biomass storages has successfully been fire- and component tested to DFL test method 90329-3 with amendments 150225-2, designed in accordance with CEN/TS 1492 annex B. The Model N-Pipe Type 2V system for biomass storages is designed to protect dry or wet feedstock material typically in sized less than 150 mm in any dimensions and stored in piles up to a height of 8 m. Typical feedstock materials include clean wood residues from forestry or other wood processing operations including bark, chips, sawdust, wood shavings and recycled wood. 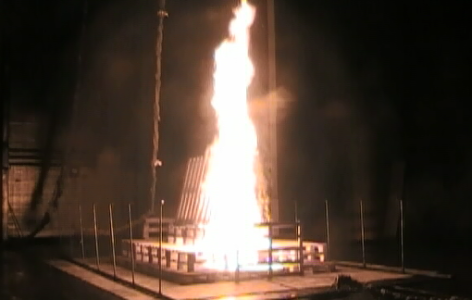 Contact VID Fire-Kill Technical Sales department for more information.